Now you can race the most famous crime fighting vehicle of all time as part of the Hot Wheels® Ai Racing Fleet! 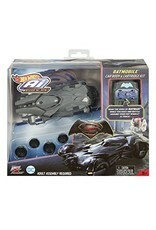 Customize your Smart Car with a premium Batmobile™ body and wheel covers to save Gotham City™! 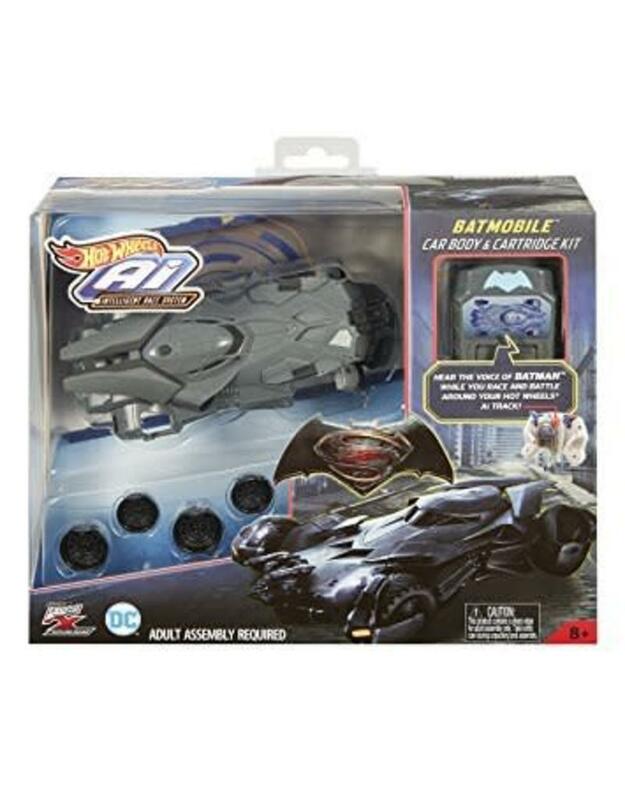 Take it to the next level by inserting the cartridge into your Gaming Controller (sold separately) to unlock authentic Batman™ voiceover and sounds. Ai uses computer enhanced Artificial Intelligence to put you in total control of the racing action! Includes one Smart Car body and 4 wheel covers. Each sold separately, subject to availability. Smart car sold separately. Not for use with some Hot Wheels® sets.